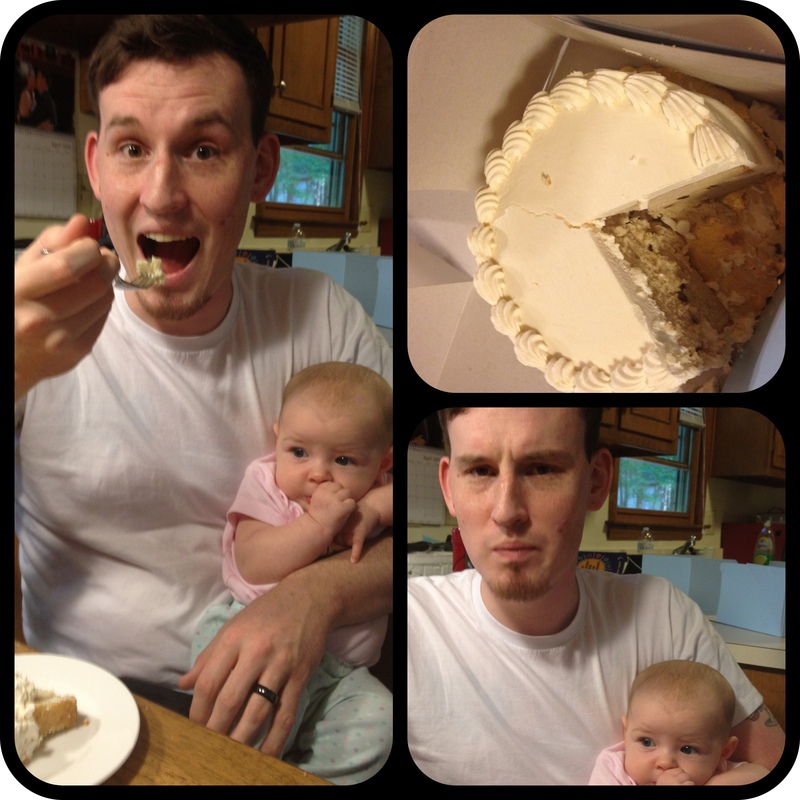 This entry was posted in Parenting and tagged Humor, Love, Marriage, Traditions, Wedding, wedding cake. Bookmark the permalink. Ah-ha-ha, the look on his face is priceless. Love it. Happy anniversary you two. Congrats! The first one is so special. My FIL almost ate the top of my wedding cake while we were on our honeymoon (my in-laws were watching the pups) and I had to NOT lose my sh-t. But there was plenty for the anniversary, thank goodness! I don’t know of ANY cake that tastes better after a year in the freezer. My wife and i did that too. that cake was nasty. She didn’t even eat a full bite. Oh well, happy anniversary. Congratulations you two. You deserve every happiness, and I’m all for you getting it, Happy anniversary! Yeah, it’s amazing how much better it tastes on your actual wedding day. :) Happy anniversary!